Become an Effective Job Hunter: Work Smarter, Not Harder! Photo courtesy of kate hiscock (http://bit.ly/1BiDvrt). Keyword searching for job opportunities is an important part of your job search that should not be overlooked. Looking for the next employment opportunity can be a time consuming task. However, you should only spend 10% of your time searching for work on a job board using keywords for the position you’re interested in. Naturally, the next question to ask is: what are you doing with the other 90% of your time? 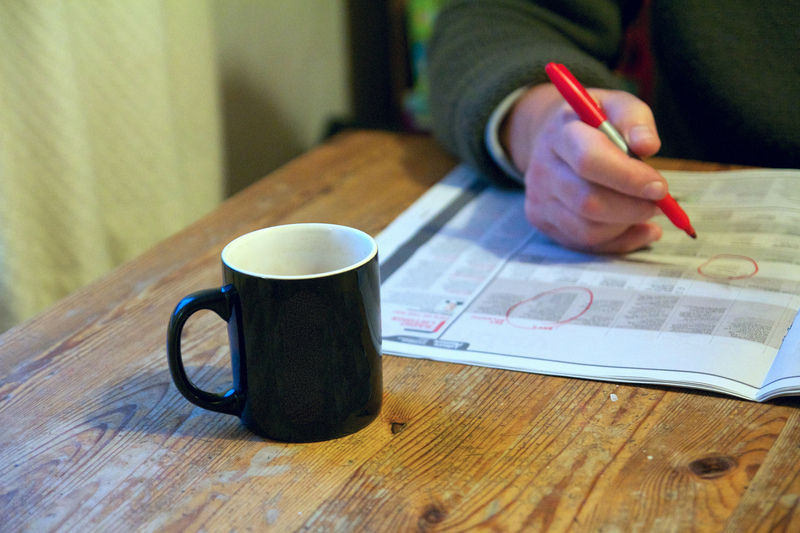 Evaluate the time you spend job hunting. Are you spending too much precious time on job boards? Or are you blindly sending your résumé to everyone who’s hiring out there in the hopes of getting an interview? A smart allocation of the remaining 90% of your job search time can help you land your next job. LinkedIn is an essential job search tool. It can take professional networking to the next level. You can make yourself an appealing job candidate by using the right keywords in your LinkedIn profile. I wrote about the importance of changing your default headline, and the importance of differentiating your profile from your résumé. Another critical aspect of LinkedIn is building connections. Don’t think of connections in the same way you would think of friends on Facebook. Building connections within your industry is important when looking for job opportunities. You’ll need more than 200 connections from people you know well in to get your search rolling. Additionally, you can research companies through their LinkedIn pages in order to receive job postings and company news. You’ll also want to join and contribute to groups within your industry that align with your skills and job objectives. This is a big part of effectively leveraging the community on LinkedIn. Remember earlier when I mentioned connecting with alumni? LinkedIn makes it easy to connect with school and corporate alumni, and it is an opportunity you shouldn’t pass up. A few minutes a day using LinkedIn to the fullest can take your job search to new heights. Our sister company, JoMo Rising launched a program last week called Accelerfate. The program can provide you daily job search to-dos. The program is full right now, but you go to the website and sign up if you want to be part of the next enrollment. LinkedIn is a great way to build your personal brand, but you’ll want to cover all of your bases. If you use other social networking services such as Facebook or Twitter, make sure to take advantage of them. Carefully craft your online presence in a way that will capture the attention of employers. If you’re an IT professional write about your industry as often as possible. Stay on top of the latest industry news, and follow those within your profession. You can also put a personal and professional spin on the news from others in your industry for your followers. You never know if a post, or tweet for a job will go out. At the very least, a professionally cultivated social media presence help you standout from other job candidates who use these platforms in a more personal manner. You can also take it a step further when it comes to your personal branding. If you have a blog, make sure to write about your profession. You’ll be able to brand yourself as an industry leader and a go-to person while you grow your audience. In short, you’ll be able to take an active role in your industry, instead of being a passive employee. Illustrate how you solve problems, and how you’re a valuable asset to your company. If you have amusing stories, heartwarming stories, or even stories that are inspiring, make to share them with your audience. Story-telling is the pillar of marketing these days. A good story helps your audience relate to you and keeps them coming back to you. It can be difficult to come up with stories on the fly. I’ve found it easier to remember stories by keeping a digital library. Record the stories that you remember or are inspired by on your phone. It will be a huge benefit when you need to recall them for future content and conversations. A good rule of thumb is, if it’s worth remembering, it’s worth recording. Having an active online presence is a great way to set you apart from the competition, and can be a highly productive way to spend some of your job search time. If a potential employer does Google you, they’ll see a motivated and fully engaged professional. Versus someone else who may have simply set a few social media accounts and lets them go dormant. I mentioned targeting a hiring manager as one part of your job search. You can take that strategy a step further by researching an entire company. Look up the companies you’re interested in on Google, and check out their LinkedIn pages. Learn everything you can about them and imagine how you’d fit into their company. In my article “You Can’t Afford Not to Investigate Your Next Employer!” I discuss ways to thoroughly research an employer. Try digging deep and pitching yourself to an employer with an extremely personalized cover letter. Remember, you want all of the fruits of your research to show up within your letter. In my vlog, “Our Cover Letter Secret Sauce” I discuss how to write a customized cover letter. Even if the company isn’t hiring at the moment, they may consider you in the future. If you’re having a trouble with your résumé, you may want to consider hiring a CPRW, or a Certified Professional Résumé Writer, like me. A professionally written résumé that specifically targets an employer can go a long way in standing out from the crowd. All of the advice I’ve listed in this article is crucial, but having a great résumé is an importance center-piece to productive job search. Keyword searching on job boards should comprise a small fraction of your job search time. An effective job search strategy will make use of personal and professional networking, social media, and personal branding. A large portion of job boards are inundated with job seekers. In order to stand out from the crowd you have to be willing to work smarter. Just imagine the quality of leads you’ll generate by asking your networks about open positions, or using the vast resources available to you on LinkedIn. Also imagine how much further you’ll go by targeting the company you want to work for, and pitching them a personalized cover letter. Not only will branching out in your job search methods produce better results, but you won’t be at the mercy of a hiring manager who is overwhelmed with the same applications, and résumés coming from job boards. 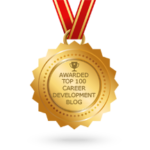 Pingback: Career Coaching, Personal Branding, Résumés, Social Media Strategy for Career & Income Optimization » Are You Demonstrating Your Top Qualities in Your Job Search?